Initial Orthopedic office visit — All inclusive care includes x-ray, splint, cast, injections, etc. 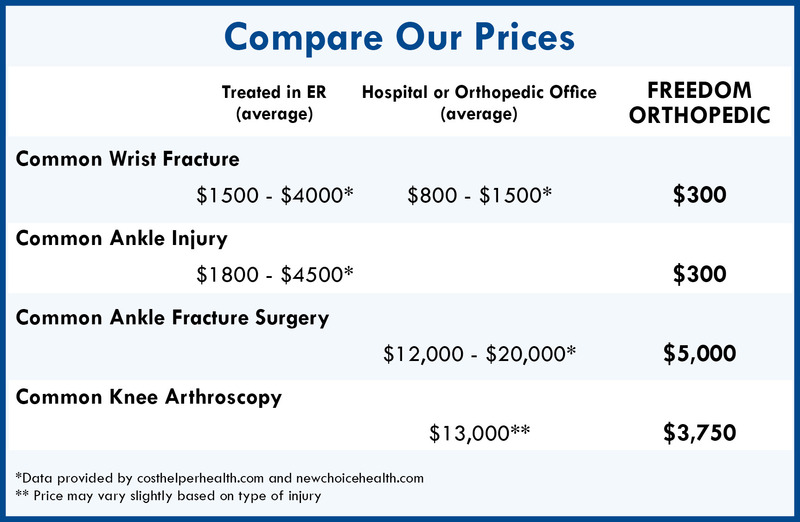 The quoted price includes surgery facility fee, anesthesia fee and the surgeons fee. You should not receive additional bills from our office or the surgery center. It also includes up to 3 months post operative care in the office. For suture removal post op it can be done in the surgeons office (preferred), or it can be done closer to home if you have a physician that is willing to remove the stitches and look at the wound.